3A Composites Core Materials reports that it has received APQP4Wind certification. 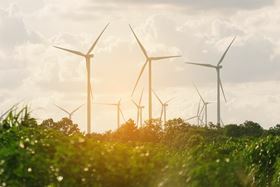 3A Composites Core Materials reports that it has received APQP4Wind certification, a registered trademark quality management system developed by Vestas, Siemens Gamesa, KK Wind Solutions and LM Wind Power. The APQP4Wind project is an initiative started by the Danish Wind Industry Association to simplify and strengthen quality assurance demands (APQP) and product release process (PPAP) across the wind value chain. The Certification’s aim is to set aligned standards for all suppliers and sub-suppliers nationally and internationally replacing company specific procedures. ‘We are looking forward to continuing this journey with our wind customers as we move towards a global standard”, said Roman Thomassin, CEO of 3A Composites Core Materials. This story is reprinted from material from 3A Composites Core Materials, with editorial changes made by Materials Today. The views expressed in this article do not necessarily represent those of Elsevier. 3A Composites has launched an online system for generating quality certificates for its BALTEK structural balsa core materials. 3A Composites Core Materials says that its AIREX T92.100 SealX core can reduce infusion cost and time when compared to standard PET foam core. 3A Composites has won qualification from Airbus for its AIREX R82.80 rigid core.